According to The Hollywood Reporter, Disney has apparently narrowed its search to find a young Han Solo down to three similar-looking dudes with brown hair. This comes after an exhaustive search for the perfect actor, with the studio reportedly meeting with or accepting taped auditions from over 2,500 people. None of them were roguish enough, though, because the prospective space-smugglers are reportedly Alden Ehrenreich (Hail Caesar! ), Jack Reynor (Transformers: Age Of Extinction), and Taron Egerton (The Kingsman). THR suggests that other dudes with brown hair could still be in the running for the Phil Lord and Chris Miller-directed film, but these three seem like frontrunners. Unless, of course, this is all an elaborate scheme to gauge the public’s reaction to the actual pick, who may have already been chosen months ago. If you’ve been closely following Disney’s search for a young Han Solo, you’ll recall that a list of the supposed favorites for the part came out in early January. It featured a lot of big names, like Miles Teller, Ansel Elgort, Scott Eastwood, and even Dave Franco, but it did not include Alden Ehrenreich or Taron Egerton, making their appearances on the new shortlist a little surprising. 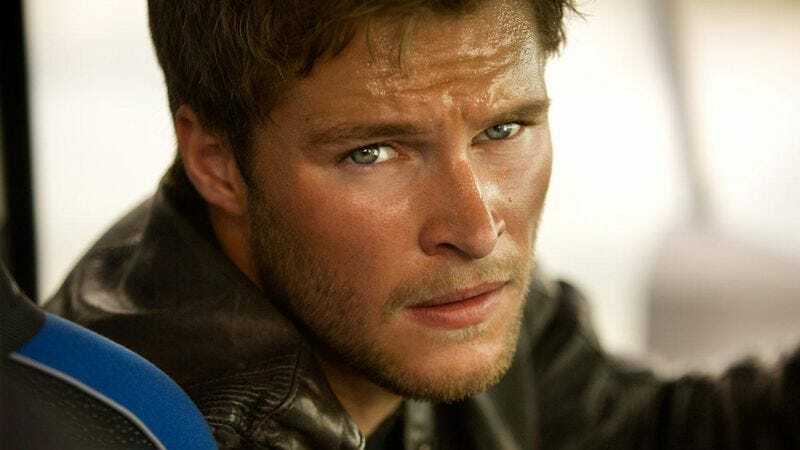 In fact, the only actor whose name has been continuously connected to the young Han Solo movie is Jack Reynor. Does that mean Reynor is going to be Han Solo? Not necessarily, but it does seem reminiscent of the way police officers stuff a lineup with people who look like their suspect so they can see how a victim will react to a series of similar faces. Is it that hard to believe Disney would do the same thing? Finding a young Han Solo is arguably more important to Star Wars than finding the new heroes for The Force Awakens was, since Solo and Harrison Ford are both as iconic as Star Wars itself. So it stands to reason that the studio would be very careful about making sure it has the right person before it announces anything official. Obviously, The A.V. Club won’t do something silly like declare this a sure thing, but remember that we totally called it if Reynor gets the part. If he doesn’t, though, we’ll just say it’s because the public’s reaction to him wasn’t positive enough, and we’ll end up being right no matter what.